Systemic Renovations – A S Architects Inc. Replace chalkboard and tack boards. Paint classrooms; in some instances two color scheme was developed to match existing. Upgrade kitchen serving line equipment and provide utility connections, design to comply with ADA for accessibility to physically disabled persons. Refinish existing wood floor at the stage in the auditorium. Provide power for support to information technology equipment. 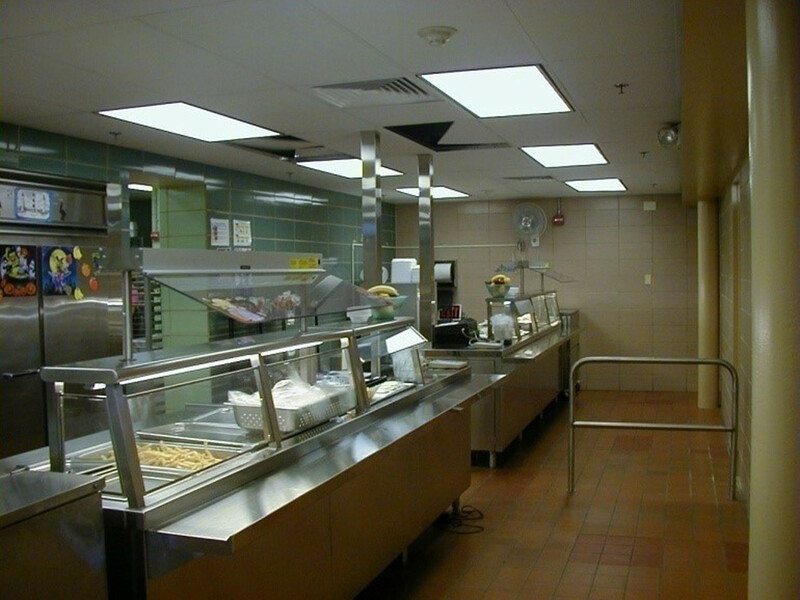 Upgrade kitchen serving line equipment and provide utility connections. Fast Track Design for IAC submissions to maintain State funding. Replace vinyl asbestos tiles with new vinyl composition tiles. Provide new suspended acoustical tile ceiling in corridors. Upgraded toilets for ADA compliant, & replaced fixtures and utility connections. 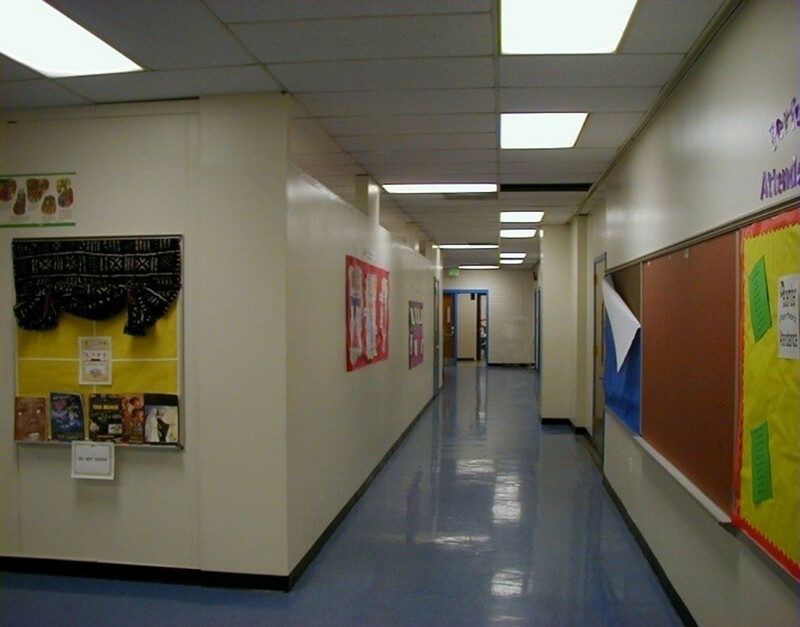 Replace suspended acoustical tile ceiling in classrooms, administrative offices and corridors. Refinish existing wood floor at the stage in the auditorium. Provide power for support to information technology equipment. Replace 45 exterior wood doors with new steel doors using existing steel frames. Extensive field investigation was done to inventory usable hardware for re-installation in new doors.